The Champs-Élysées location doesn't get away with the giant glass doors found on other recent flagship Apple Stores. Paris’ new flagship Apple Store finally got an official opening day: the retail location on the iconic Champs-Élysées will open its doors next Sunday. 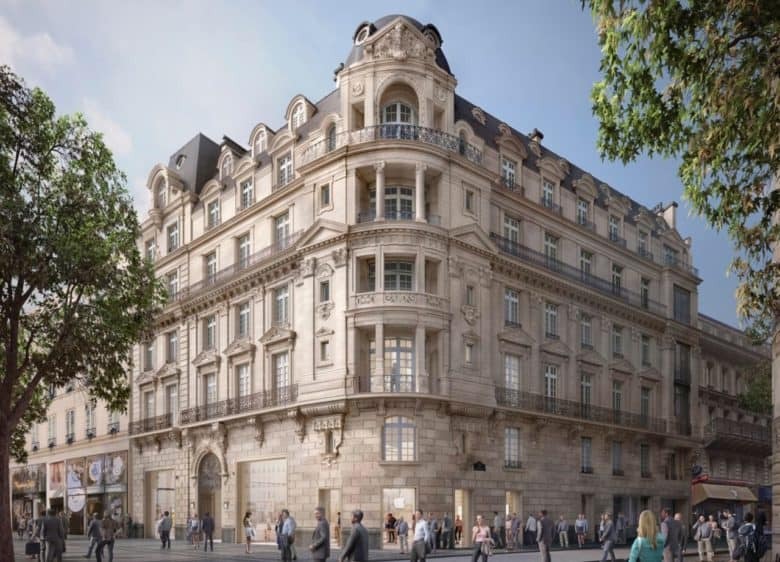 In addition to offering iPhones, Mac, and more to the public, this building will serve as Apple headquarters in France. The Twitter feed for the Champs-Élysées announced the opening day for this location. The #Apple Store on Avenue des Champs-Elysees will open on Sunday, November 18 at number 114. It will be the largest in France and will host the headquarters of the California firm. Apple has also created a page for this location on its website. As with Apple’s other recently-opened flagship locations, the Paris store will put greater emphasis on education and community than just selling computers. The posters in the Twitter image above advertise upcoming Today at Apple training classes. The facility will also emphasize using clean energy, trees, and natural light whenever possible. However, the giant doors that are a hallmark of the company’s other new flagship stores will be missing, as the exterior will harmonize with the appearance of the Champs-Élysée. For its 14 million euros a year in rent, Apple gets several levels of Number 114, with only the bottom two devoted to retail. Higher areas will be office space. About 200 people will work in the building. Some of the retail personnel came from the Carrousel du Louvre Apple Store, which closed last month.